This little quiz just might be the best one you will ever take! 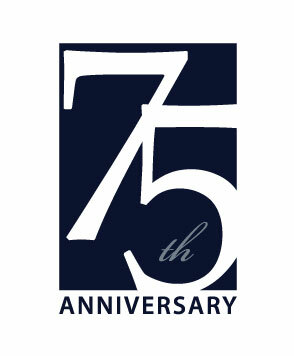 It is a just-for-fun opportunity to see how much you know about the School of Business, both present and past, as we celebrate our 75th anniversary. No exam stress for students. No grading deadlines for faculty. No need to review, hope for a generous ‘curve’ or cram all night long. Don’t you wish they could all be like this? 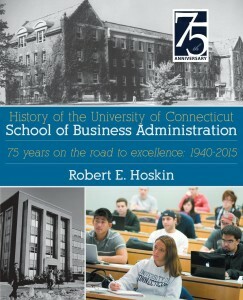 If you want to learn more about the UConn School of Business through the years, consider purchasing the recently published book by Professor Rob Hoskin, History of the University of Connecticut School of Business Administration: 75 years on the road to excellence: 1940-2015. 1. Which of the following has NEVER been an academic major at the School of Business? The economics major is housed within the College of Liberal Arts and Sciences. The secretarial studies major was in existence from the start of the school until 1979. The digital marketing and analytics major was new for Fall 2015. The Real Estate and Urban Economics Studies major is ranked #1 in the nation for real estate research. 2. The School of Business was first housed in the Wilbur Cross building. The School began in the basement of a dormitory until it moved into its home in Storrs Hall in 1949. The Wilbur Cross building served as the library from 1939-1978. 3. What year did the Executive MBA Program begin? The Executive MBA Program began in 1990 under David Kidwell’s tenure. 4. Which campus does not currently offer undergraduate business majors? Undergraduate business majors are offered at the Stamford, Storrs, Waterbury and West Hartford campuses. 5. __________ has been the longest running center. CREUES began in 1965. NERAC began in 1967 as a school center, but now exists outside of the University under the name Nerac, Inc. The business writing center was launched in 2006 to help business major fulfill their writing requirements. CIBER is one of the 17 centers located in Universities across the country. They aim to be a national resource for international business teaching, research and outreach. 6. Which institution was absorbed into the School of Business in 1976? The College changed its name to the School of Insurance in 1961 but was finally absorbed by UConn in 1976. The building across from Gampel Pavillion was completed in the Summer of 2001. All classes and faculty were placed in the building by Spring of 2002. The new building was part of the UConn 2000 Project, which included the construction of the Agricultural Biotechnology Facility, South Residence Halls, Chemistry Building, Information Technologies Engineering Building, North Parking Garage, School of Pharmacy/ Biology Building, and many other building renovations. 8. In 1960, the Full-time MBA Program opened to anyone pursuing a graduate career in business. The Full-time MBA Program was intended for Air Force officers. In 1964 the program opened to civilians. 9. Laurence J. Ackerman was the dean of which UConn school(s)? President Jorgensen asked Ackerman to be the acting dean of all three schools, which is likely to be the only time this has happened at the University. 10. Which faculty member gave 50 years of service to the School of Business? Arsen Dann Emerzian was the longest employed faculty member. Thank you for taking our School of Business history quiz! We hope you enjoyed testing your knowledge and learning more about us. Take a look at the school timeline for further information. For the latest events, head over to the pressroom.